Who hasn’t heard of Cherry Mobile? In this age of Samsungs and Apples, it’s astonishing to see a local brand competing with the giants and coming out on top. That is what Cherry Mobile did and continues to do. Thanks to its affordable range of high-quality phones, the company grew to become the top local mobile phone brand in the Philippines. Cherry Mobile was founded in 2009 by a young visionary named Maynard Ngu. With a small team of 50, Ngu started out to battle the industry giants back then such as Nokia and Blackberry. After only a year, the company was awarded the IT Company of the Year in the 3rd CyberPress Awards, beating local and international heavyweights. Maynard Ngu saw the need for affordable but top-of-the-line smartphones that suit the budgets of many Filipinos. He knew that not anyone can afford the high-end brands that usually cost a month’s worth of salary. He set out to fill the demand, releasing a wide range of mobile phones from the low-cost feature phones to the mid-range Android smartphones. “At that time, handsets were so expensive – ranging around P25,000, so we offered a quality product that appealed greatly to consumers who were looking for a more affordable device,” the young CEO said. 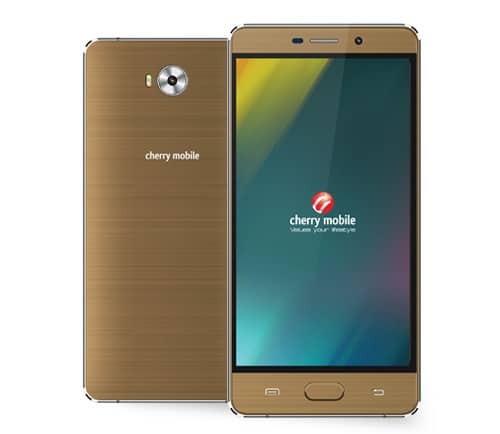 The icing in the cake was the release of the much-loved and popular Cherry Mobile Flare. The dual-core Android smartphone took the local mobile industry by storm with its powerful features that rival the more expensive foreign brands, and at a price that ordinary employees can easily afford. The Cherry Mobile Flare was an instant hit, making it one of the best-selling smartphone models in the country. The Cherry Mobile Flare was a runaway success. Now heading a growing team of 750 employees, Mr. Ngu is not one to rest on his laurels. Aside from constantly improving the company’s product line to keep up with the fast-changing times, Cherry Mobile has also embarked in other ventures. The company released the Cherry Prepaid SIM, which offers more Internet data for longer surfing and browsing. Cherry Mobile is also exploring opportunities to expand in other countries in Asia and South America. 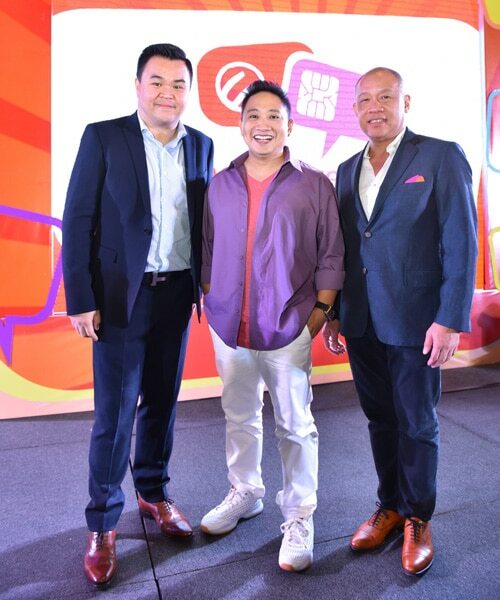 So what can we learn from Cherry Mobile and Maynard Ngu’s success? Many aspiring entrepreneurs are afraid to enter markets or industries that are dominated by giants, fearing certain defeat. Cherry Mobile was a tiny company that was not afraid to compete against the Goliaths of the mobile industry – the big names such as Apple, Samsung and Nokia. Cherry Mobile not only survived, but also came out on top to become the leading local mobile phone brand in the country. Just like Cherry Mobile, you can enter whatever market you are eyeing despite the Goliaths dominating it. As long as you have a strong USP or unique selling proposition, you can capture the attention and loyalty of your target market. Cherry Mobile’s USP is affordability with high quality, and it proved to be an instant success with budget-conscious customers. Maynard Ngu wanted Cherry Mobile to be the brand that has “Everything for Everyone” and that’s what he was able to achieve in a relatively short span of time. Since its inception in 2009, the company has brought dozens of phone models, ranging from low-end feature phones to the more expensive smartphones like the Flare. Everyone can afford a Cherry Mobile phone regardless of his economic standing or social status. “My vision is that everybody will have a Cherry Mobile in their hands. We want to bring the Cherry Mobile experience to everybody, because Cherry Mobile is and will always be ‘everybody’s everyday device’,” Ngu said. Mr. Ngu also envisioned Cherry Mobile to provide the “ultimate mobile experience” to its customers. The company even opened its own app store called Cherry Play App Store, which features 100% Filipino-made mobile applications. Having a long-term vision helps you direct the course of your company in the future, and to survive the initial struggles that beset your business during the early startup stages. Cherry Mobile was not Maynard Ngu’s first business. He set up Versatile Telecoms, a distributor of HTC and Alcatel products, before founding Cosmic Technologies, Inc., the parent company of Cherry Mobile. Ngu was driven by his passion for technology. “I believe everything begins with passion. It’s that fire in your belly that pushes you to move forward, and which urges you to take on the challenge despite the odds. Passion is what fuels me to strive for the difficult and the impossible,” he said. Wise words indeed from the Cherry Mobile CEO. As an entrepreneur, you should always have that “fire in your belly” that motivates you to fight on through the tough times. Many entrepreneurs fail because they were not passionate enough about their business, and thus lost the will and motivation to overcome the initial challenges. Cherry Mobile came at the right time just as Filipinos, particularly the millennials, jumped into the mobile phone craze. It was around that time that Filipinos started to use mobile phones for daily online activities like posting photos on Facebook. Maynard Ngu saw the opportunity and took full advantage of it. Knowing the demand for low-cost, affordable phones, he contracted Chinese manufacturers to produce handsets that cater to the budget-conscious sector of the local market. And the rest is history. Thankful for the remarkable success of his company, Maynard Ngu makes sure that he’s giving back to the community that helped him become successful. Cherry Mobile established CherrySkwela, a program that helped thousands of poor Filipino students through scholarship grants, classroom renovations, educational supplies, and training workshops. The rise and success of Cherry Mobile should inspire Filipinos who want to make a mark in the highly competitive technology space. We hope that more Filipinos will follow in his footsteps and create companies and brands that compete and win against the global giants.